Andrew Denton returns to Seven with a new series next week. 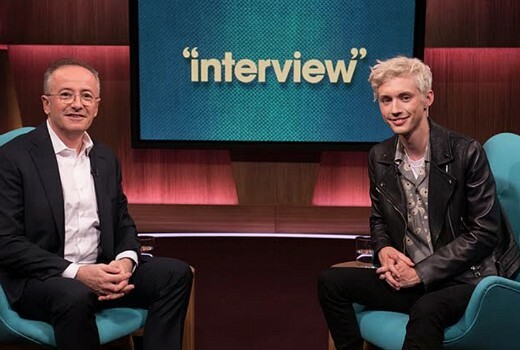 The talk show is having a subtle name change (from Interview with Andrew Denton to Andrew Denton: Interview) but resumes with a Tuesday timeslot. “I can’t tell you who’ll be in the blue guest chairs this year,” says Denton, “because first, that would spoil the surprise, and second, nobody tells me anything around here. Apparently, I’m just a pretty face. 9pm Tuesday April 23 on Seven. Apart from being too slow the problem with not advertising the guest means that if it’s a dud one week you aren’t inclined to tune in the following week. I think Andrew Denton Interview would be great on ABC for 30 mins but doesn’t suit a commercial broadcaster. I’m a bit surprised about keeping the name under wraps because it “ruins the surprise.” It didn’t really work for them last year and they began to announce them so I expect that to be repeated. I feel that it’d be better for the celebrity in question to be “under wraps” until a couple of hours before the episode (being advertised in the prime-time show beforehand) so that people know to ‘tune in’. I love the suspense of waiting to see who the next week’s interviewee is and rather that 7 continue to keep the name “under wraps” until, at least, the day of the show.